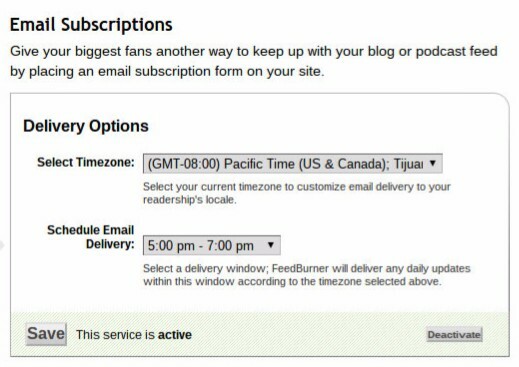 You adjust delivery time for the email feed, using the FeedBurner dashboard. 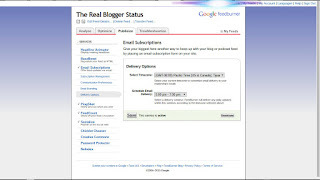 Start from Publicize, "Email Subscriptions". 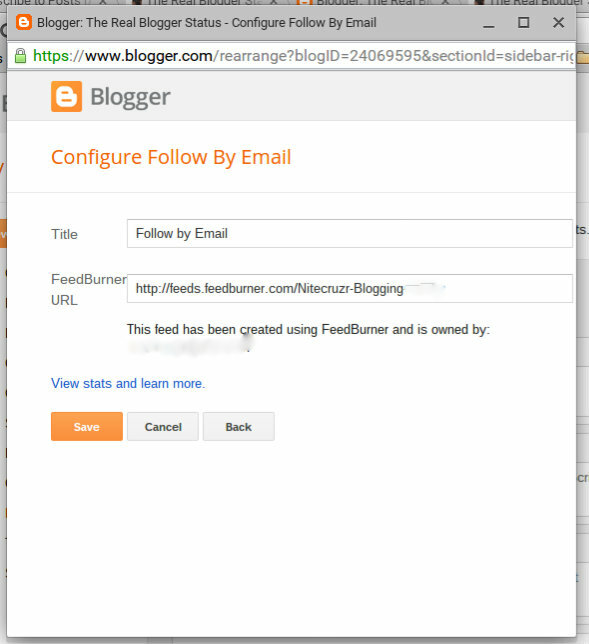 Start from the FeedBurner dashboard, for the feed in question. Select the Publicize tab, "Email Subscriptions", then "Delivery Options". You can "Select Time Zone", then "Schedule Email Delivery" for any of 12 2-hour email delivery time windows. 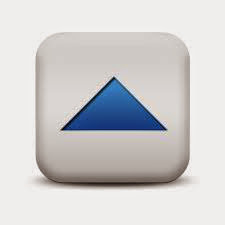 Email Subscriptions offers a number of options, to customise your Email Distribution service. Activate "Email Subscriptions", as necessary. Use "Delivery Options" to set time zone, then select from any of 12 convenient 2-hour windows for email delivery. Note that if the blog uses a dynamic template, you'll have to add the "Subscription Links" gadget - not "Subscribe by Email". 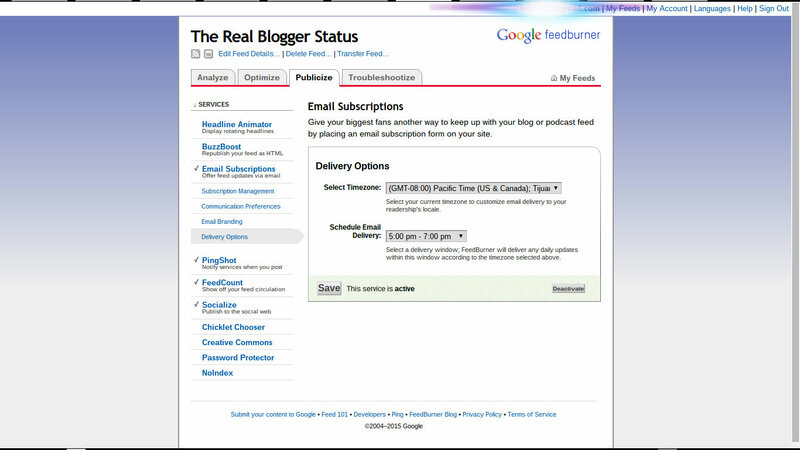 Then, you'll activate the "Email Subscriptions" service, from the Publicize tab, "Email Subscriptions" manually. 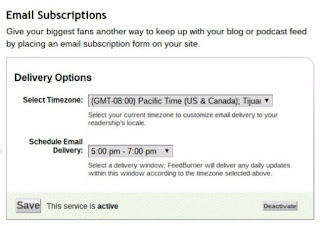 FeedBurner Email Subscriptions offers a number of options - but "Schedule Email Delivery" is the key, if you are interested in timely delivery of your posts, as you publish. Edit the the "Follow by Email" gadget, to easily access the dashboard. 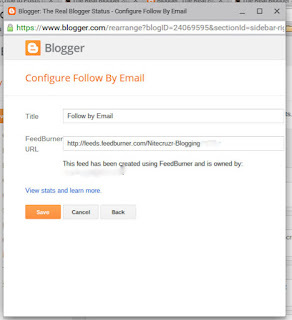 To access the FeedBurner dashboard, just Edit the "Follow by Email" gadget - either from the Layout page, or using the QuickEdit icon. Click on the link "View stats and learn more.". That puts you into FeedBurner - at the "My Feed" display, with one click. You then select a feed, and you are in the dashboard.